It seems almost absurd now, but cosmologists once assumed that galaxies of a given type were all the same and didn’t change. Because of this assumption, galaxies were used as a redshift or light-based yardstick to measure distances in the universe. But what if some galaxies were intrinsically redder than others? 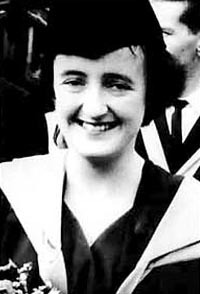 Little to no thought was given to their origins, compositions, or evolution until Beatrice Tinsley came along. Beatrice saw galaxies as changing bodies of stars. She believed that they grew, evolved, and died because they’re made of stars, and that’s what their star populations did. To lump all galaxies together and use them as a standard candle was an oversimplification. Beatrice created the first computer model of a galaxy to prove her point and in doing so, she founded the field of galaxy evolution. If you’ve never heard of Beatrice, don’t feel bad. Just as her career was really beginning to take off, she developed cancer and died shortly after her 40th birthday. 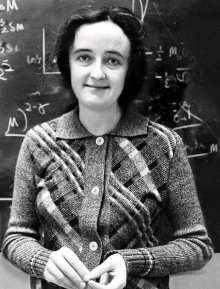 Though her life was short, her influence on cosmology is long-reaching. Beatrice Muriel Hill was born in 1941 as WWII raged in and around Chester, England, where her father was stationed. She was born prematurely following an air raid, and wasn’t expected to live. When the war ended, her father became an Anglican minister and moved the family to New Zealand. Young Beatrice tried hard to please her parents, but grew increasingly dissatisfied with their religious beliefs. At school she excelled in math, languages, writing, and music, and played violin for New Zealand’s National Youth Orchestra. Beatrice could have been anything she wanted, including a professional violinist. But at age fourteen, she set her sights on the stars. Beatrice graduated high school at 16 and went on to earn a Master of Science in 1961 from the University of Canterbury. That same year, she married fellow physics student Brian Tinsley. The two had little in common beyond their studies, but Beatrice wanted to do what was expected of her. Brian accepted a research position at the University of Dallas, and Beatrice, having been assured that she could use her scholarship there to pursue her PhD, agreed to go with him. When the time came to apply, however, she was told that they didn’t accept married women. There were no opportunities for Beatrice in Dallas, so she applied at the University of Austin and entered their part-time PhD program. Each week, she commuted 400 miles round trip, bouncing between the promise of a bright future in cosmology and the receding light of her marriage. Beatrice earned her PhD in less than two years, which is about a third of the time it normally takes. She had extremely high grades and her professors called her dissertation, titled Evolution of Galaxies and its Significance for Cosmology, ‘extraordinary and profound’. Many in the astronomy community called it disruptive. It was obvious to Beatrice that since galaxies were not present at the beginning of space-time, they must grow and change and therefore can’t be used as though they’re static bodies. In her dissertation, she suggested that changes in galaxies take place over long periods of time. To determine the age of a galaxy (and, by extension, the universe) one must pay attention to factors like the galaxy’s mass, star birth rate, and the chemical elements within. After graduating, Beatrice used her tenure at UT Austin to further explore the evolution of galaxies. She wrote a simulation in FORTRAN of a galaxy evolving from birth to 12 billion years in order to demonstrate how its appearance would change according to the evolution of its stars. Beatrice based her conclusions on recent theories about the Sun’s evolution that suggest it will use up its fuel, evolve, and eventually die. She believed that what’s good for the Sun must be good for similar middle-sized stars, including those that make up the galaxies being used as yardsticks. In 1974, Beatrice received the Annie Jump Cannon award for her groundbreaking work in the field of galaxy evolution. She divorced Brian and left Texas altogether to pursue her career. After spending a year in Santa Cruz at the Lick Observatory, she became assistant professor of astronomy at Yale. Four years later, she became a full professor. That same year, as her career was really getting off the ground, Beatrice was diagnosed with melanoma. She spent the next three years simultaneously fighting cancer and publishing papers, contributing over 100 in her lifetime. Beatrice developed a brain tumor that left her partially paralyzed, so she taught herself to print with her left hand in order to continue working. 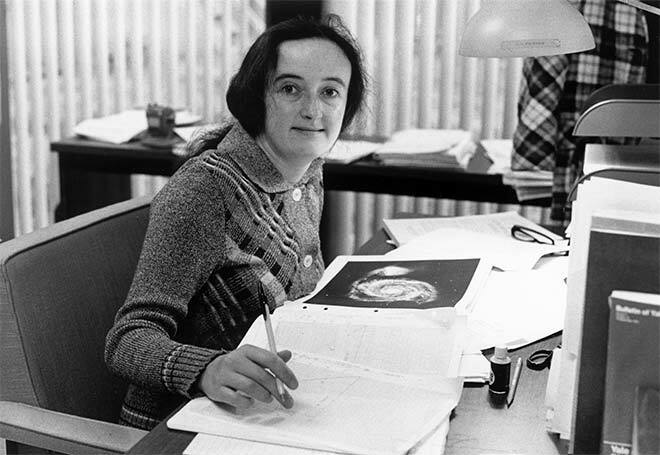 Ever dedicated to cosmology, Beatrice wrote her last paper from her hospital bed in 1981. Very nice article, about very brave and smart woman. The galaxy evolution fortran code… does it exist in some form? Maybe in her paper? What was the title of it? It’s her PhD dissertation, also published in Astrophysical Journal: “Evolution of Stars and Gas in Galaxies”, B.M. Tinsley, ApJ vol 151 p 547. Thanks! I’ll have a look for it. Your incoherent mumbling makes me rationally angry. Great, I’m not sure why you’re angry. You can be, you have that right (I assume U.S. Jurisdiction as I am in). You have to read critically because there is coherence… though may be a need for elaboration of details to connect topic points for more meaning if you’re comprehension skills aren’t that good.